On a snowy January weekend, Printavo sent its team to Barrel Maker Printing in Buffalo Grove, IL (just outside Chicago) for Ryonet’s Screen Printing Experience. Located in a large suburban warehouse facility, Barrel Maker is one of Printavo’s earliest partner shops. Barrel Maker and Printavo have grown alongside each other over the past 5+ years – it’s extremely exciting for us to see their development as a brand and a print shop. Erin and Justin Moore run Barrel Maker like it’s a passion – and have taken it upon themselves to share their knowledge through teaching. They have a deep love for this industry and the printing process, and they even run live screen printing events to share their excitement. They’re the perfect people to learn from about the art, craft, and business of screen printing. So was attending this class worth it? 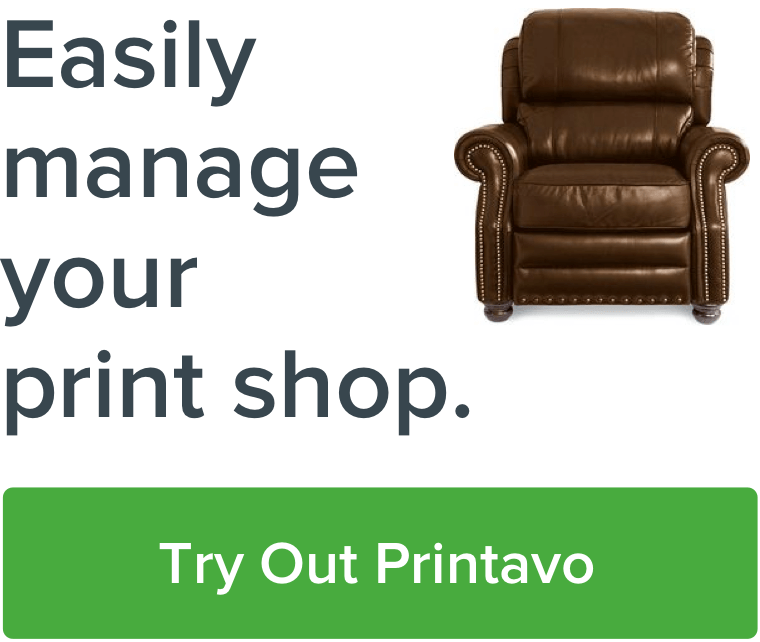 Did Printavo get a lot of value out of it? Should you consider taking this class? The answer is unequivocally yes. Grow our knowledge about the industry we serve. Get hands-on experience with screen printing. Observe a true production environment. The Printavo team has diverse working backgrounds – from dog grooming to running charities to programming – but only Bruce has direct experience working in a screen printing shop. That’s why we spent the weekend with Barrel Maker learning the ins and outs of the entire screen printing process: we want to learn as much as we can to better serve our partner shops. Everyone at Printavo has daily interactions with screen printers. But we aren’t screen printers. So there were some real surprises in store for us. There aren't just a dozen variables in screen printing. There are hundreds – some that you can control, and some that you can't. Each choice you make along the way determines how the print will turn out. No one can just jump into screen printing and be an expert from the start. It requires hands-on training and a long-term effort to improve your knowledge and technique. We were struggling to get one shirt onto a platen and get a decent quality print – so we quickly learned just how challenging it would be to hold workers accountable for hundreds or even thousands of garments. We know that every shop is different, and we hear about it every day from our partner shops. A solution that works for you definitely won't work for everyone. But we were still surprised by the sheer number of problems that screen printers face and the huge variety of solutions for each and every problem. Barrel Maker have jerry-rigged all sorts of novel solutions for little problems they run in to during production – from utilizing a Reptifogger to keep inks wet on their press to making little homemade stations for holding spray adhesive canisters on their equipment. What's included with Ryonet's Screen Printing Experience? Ryonet’s Screen Printing Experience is a 2-day course designed to give you an overview of everything you really need to know about screen printing. This seminar has given thousands of screen printing entrepreneurs the tools and knowledge they need to start and run a successful custom printing business. Several new screen printing shop owners were in attendance from Iowa, downstate Illinois, and nearby suburbs. Each had a unique story that brought them to screen printing, but the drive for independence and financial autonomy in their business was the common thread. Their clear eagerness to learn was met with ample time for in-depth question and answer sessions about each topic. You don’t just walk away with a lot of knowledge and insight – you also print some pretty killer designs. CMYK prints of Bill Murray – each person's turned out slightly different! We each wound up with around 10 shirts that we printed. Wearing a shirt that you printed definitely gives you a different sense of pride than buying any old t-shirt off the shelf! Barrel Maker's art team chooses several beautiful prints for each class and demonstrates multiple printing styles, techniques, and print locations. The Printavo team were big fans of the Death tarot card print and a CMYK process print of Bill Murray. Is the Screen Printing Experience right for you? Whether you're looking to learn more, network with really cool people, or ask detailed questions about something that's challenging you – the Ryonet Screen Printing Experience is a great opportunity to do some continuing education. You will certainly get value out of the class even if you've already established your business. Justin and Erin know so much and were 100% willing to share every available piece of info they had. There's no hoarding the secret sauce here – they're advocates for your success. They offered us all their contact information and urged us to get in touch with questions and problems. If you're thinking of starting a screen printing business, this is an awesome opportunity to learn from people who have already been through the struggles and challenges you are going to face. We used Next Level and Allmade garments – and learned about how Allmade is dedicated to ethical garment production. We were surprised by the horror stories about garment factories, but thrilled to learn that there are people focused to providing fair wages and a healthy working environment in an industry that's unfortunately plagued by worker abuses. At Printavo, we work closely with artists and craftspeople to grow their business and manage a complicated process – but it doesn't leave a lot of time to actually get involved in the production process we help facilitate. Getting hands-on experience raised our base level of knowledge and gave us a chance to see how inspiring and satisfying screen printing can be. We highly recommend this class if you have an interest in screen printing, are interested in starting a screen printing business, or want to expand your knowledge, ask detailed questions about specific problems, and gain more experience under the tutelage of experts.